Current is carried through brushes and the collector ring to the rotating magnet. The PC design is less expensive than the SF design. 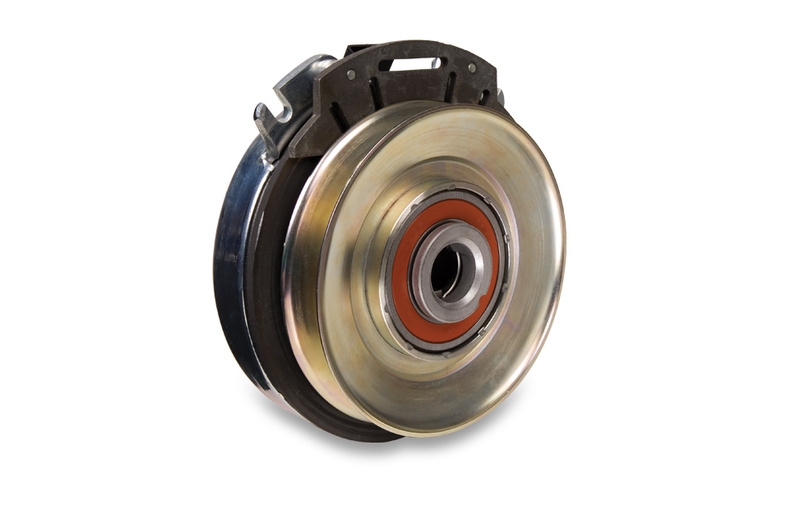 Flange or bearing mounted styles. The SF design eliminates collector rings and brush-holder. Ideal for adverse environmental conditions. 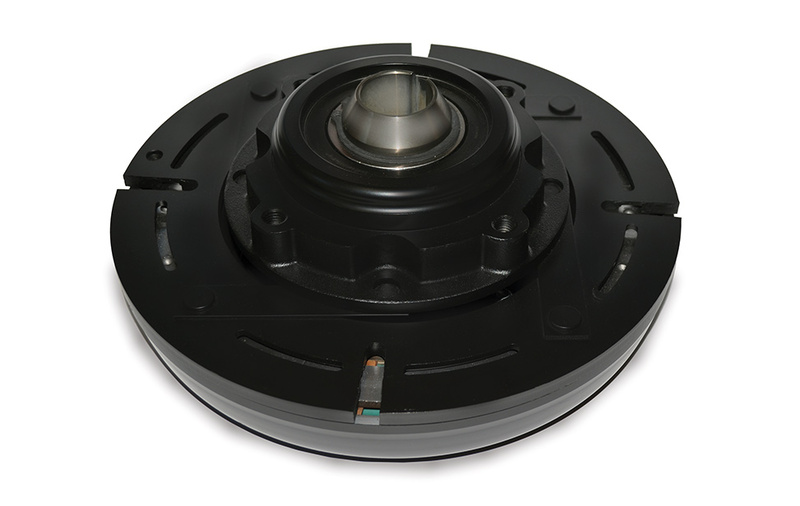 Mounting tolerances are generally more critical than the PC design. 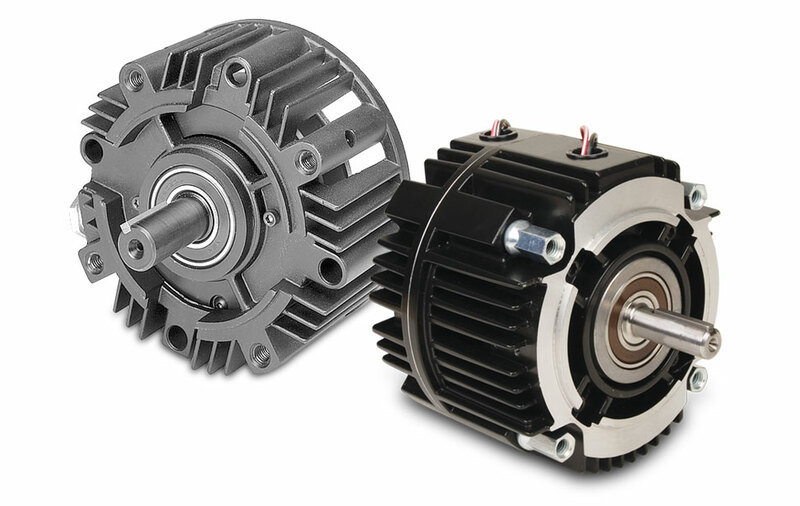 Individual modules may be used in combination to form clutches, brakes or clutch/brake packages. 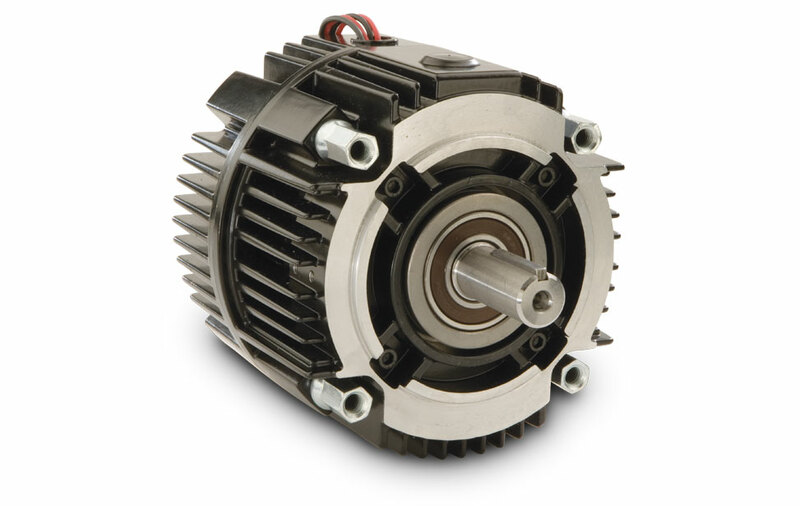 Electro Modules can be bolted directly to NEMA C-face motors or reducers, or base mounted for stand alone operation. 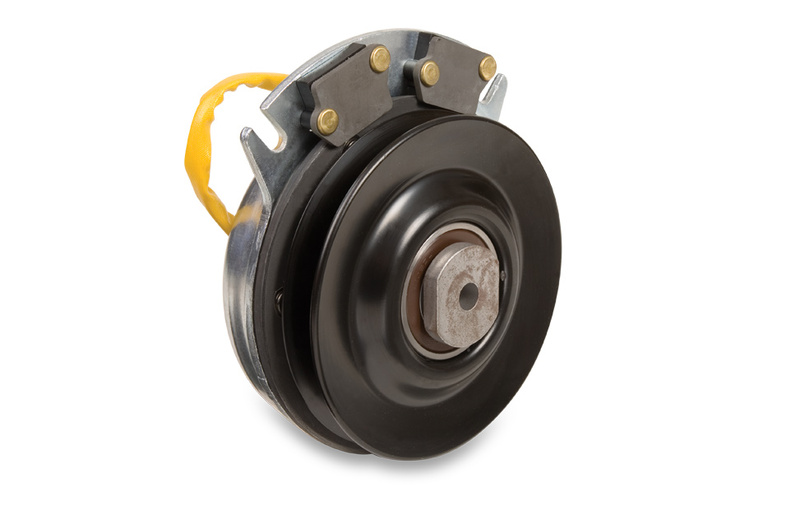 The GT300 model features a triple-groove pulley to accommodate multiple v-belts. Featuring a high 300 ft.lb. 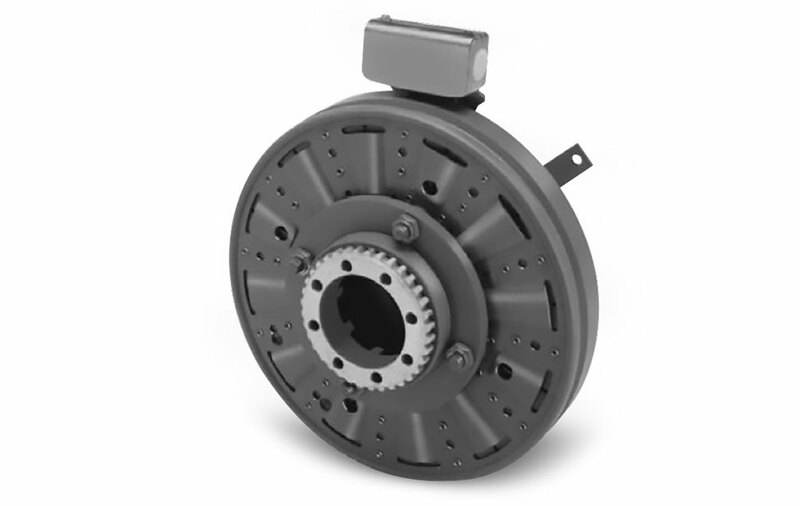 torque capacity, GT 300 PTO clutch/brakes are rated to 40 HP. Units are simple to install and easy to operate.